The pearl of the Bay of Kvarner at the foot of Ucka Mountain belongs to no other place than Moscenicka Draga, the area which has been carved in high cliffs in the eastern part of the noble Istria. Somewhat isolated from the world', for many years M. Draga has been luring tourists, inquisitive people, weekenders, walkers, sportsmen, artists and nature lovers. It steals the hearts of all its visitors and chance travellers with its authentic Mediterranean architecture, the tradition of Primorje (the North coast of Croatia), fishing, and its history. If you are a history lover, then you must visit Moscenice and Brsec, two medieval towns situated on high cliffs, Moscenice at the altitude of 178 m (753 steps), and Brsec at the altitude of 157 m above the bay of Kvarner. The promenade along the seacoast (lungo mare) towards Sv. Ivan Beach (St. John Beach) makes you feel very romantic, and all along the way you can hear the murmur of the sea and smell the scent of Mediterranean herbs. 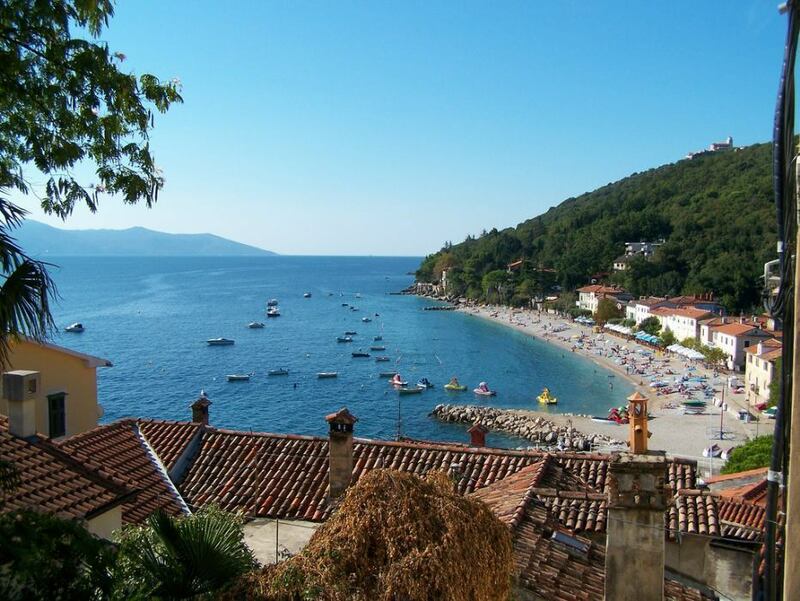 The old town of Moscenicka Draga with its clustered houses and its ravines stretches steeply all the way to the sea. In its foundation there is a beautiful small port with fishing boats, small boats, and in summer there is a mini-marina for the tourists' boats. When someone mentions Moscenicka Draga, you will certainly visualise the beach. 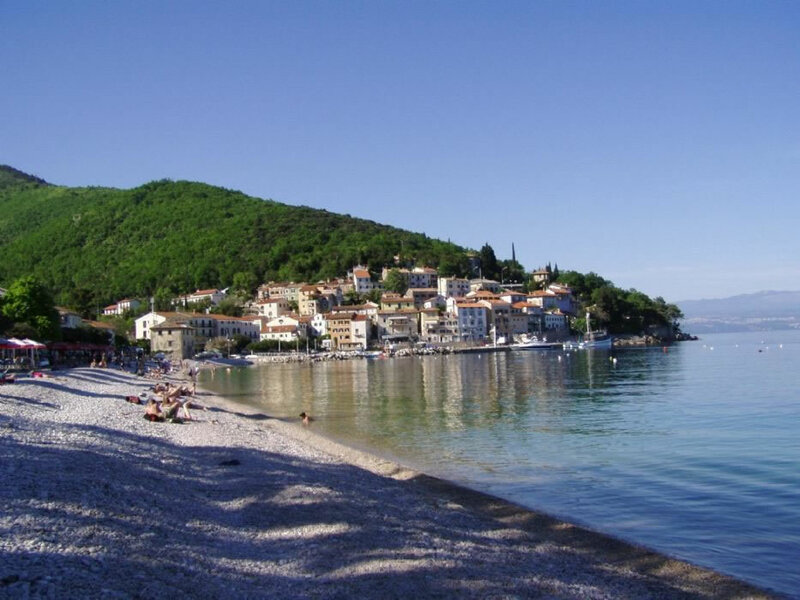 These are the most beautiful pebbles in the whole Bay of Kvarner, and perhaps in the whole Adriatic Sea. 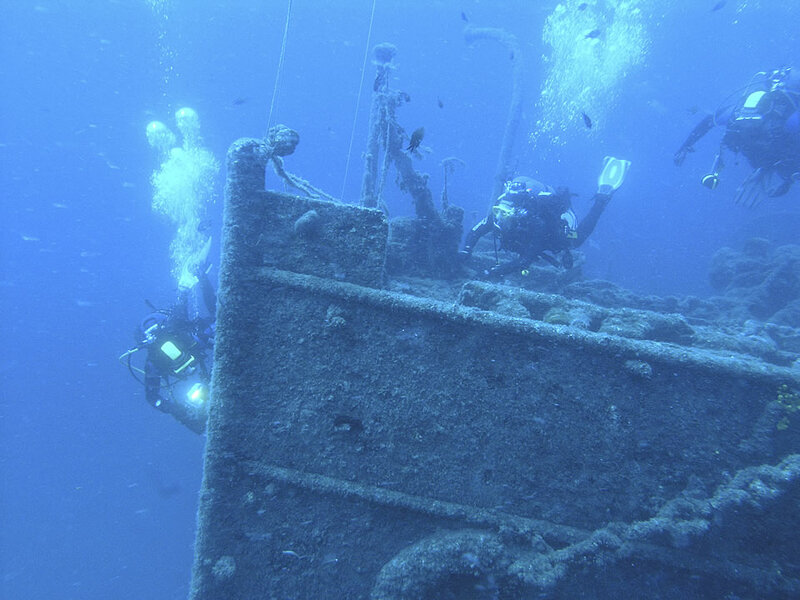 The locals call it Sipar, and it is a few hundred meters long. It stretches on towards St. Ivan, and its particularly beautiful part is the one hidden among the cliffs, below Villa Zagreb. Naturists will find their place under the sun on the beach of Senjavac, which is situated after Sv. Ivan Beach (St. John' Beach). Between Moscenicka Draga and Brsec there are two rather bigger beaches, Uboka and Jelenscica. 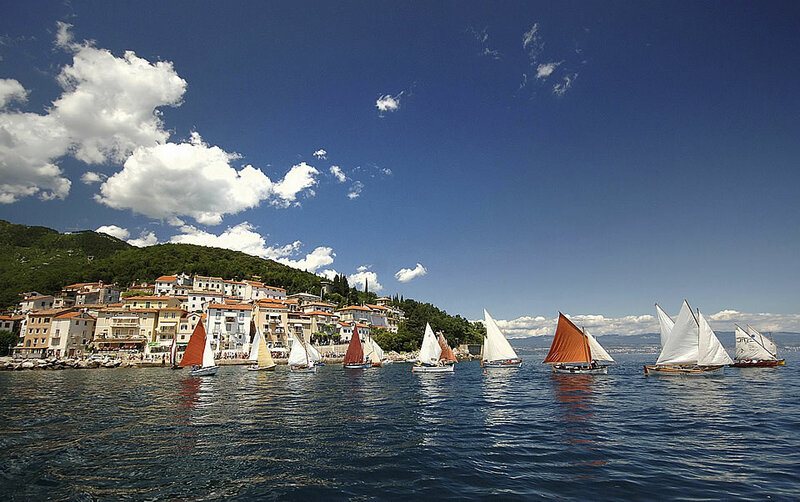 You can get there by boat or on foot if you take one of the paths leading there from the main road Rijeka - Pula. 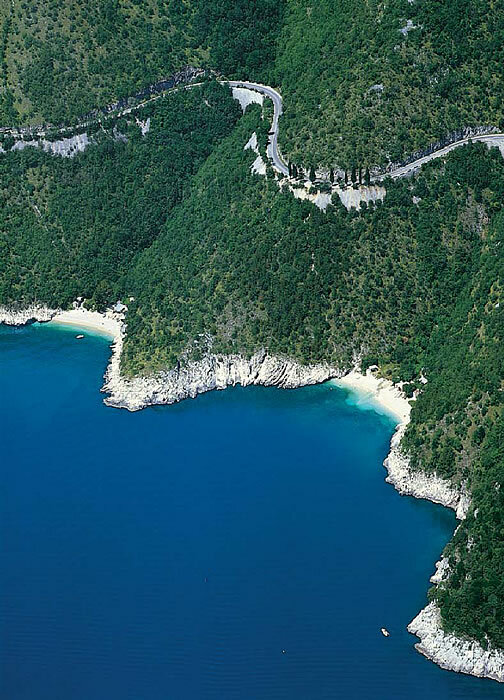 You can admire the unique outlines of the coast of Kras, its singularly shaped cliffs coming out steeply from the sea, scarce Mediterranean vegetation and an occasional olive or fig tree. In summer there are various kinds of entertainment in Moscenicka Draga and surroundings. Fishermen's Nights have been traditionally organized for years, and one of the most significant ones is the party organized on St. Marina's Day (St. Marina is the patroness of M. Draga), which is called Marinina (the Day of St. Marina - the Day of Moscenicka Draga). Popular bands play, various games based on local customs are organized, and the final is reserved for marvellous fireworks. Apart from the traditional parties on the seafront, you can also take part in local parties, which are organized all over the community. Various music, painting, poetry, and musical happenings take place at the end of the beach, in the Contovo park, Moscenice and Brsec. 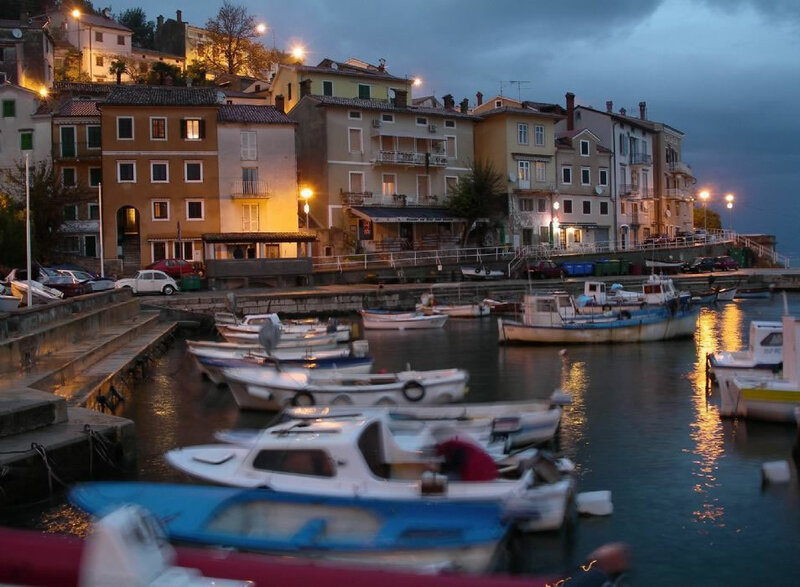 If you walk across the centre of the town you will often hear klape of Primorje, vocal groups singing authentic national songs of Istria, Dalmatia and Kvarner under 'mulberry trees' near the little port. We would also suggest visiting exhibitions culturally related to the past, tradition and tourism in this area. At the end of August you can visit the international Brsec Art painting exhibitions. In the Church of St. Andrew in Moscenice take place classical music concerts and also Christmas and Easter Concerts.